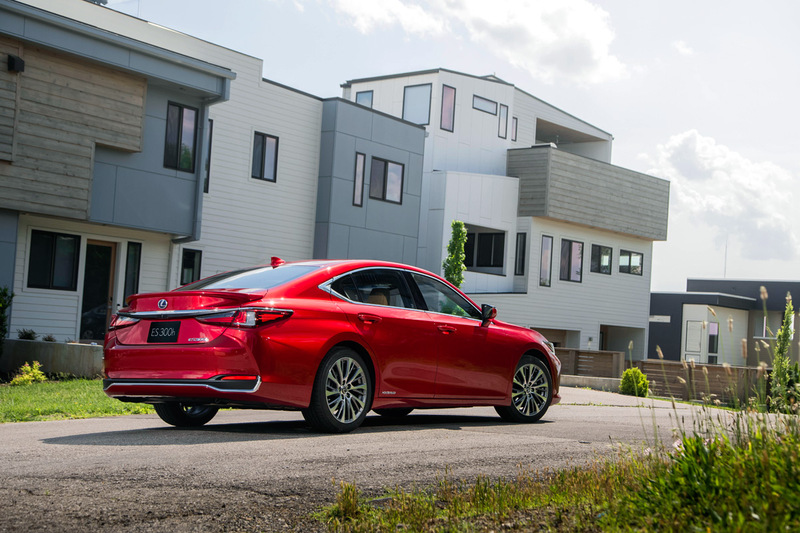 When Lexus unveiled the 2019 Lexus ES at the Beijing Motor Show back in April, it stopped us in our tracks. While the ES has always been a best-selling model for the brand, they’ve always played it safe in the styling department, careful not to upset their… older clientele. And it’s worked, to the tune of 2.18 million cars sold since it’s launch nearly 20 years ago. 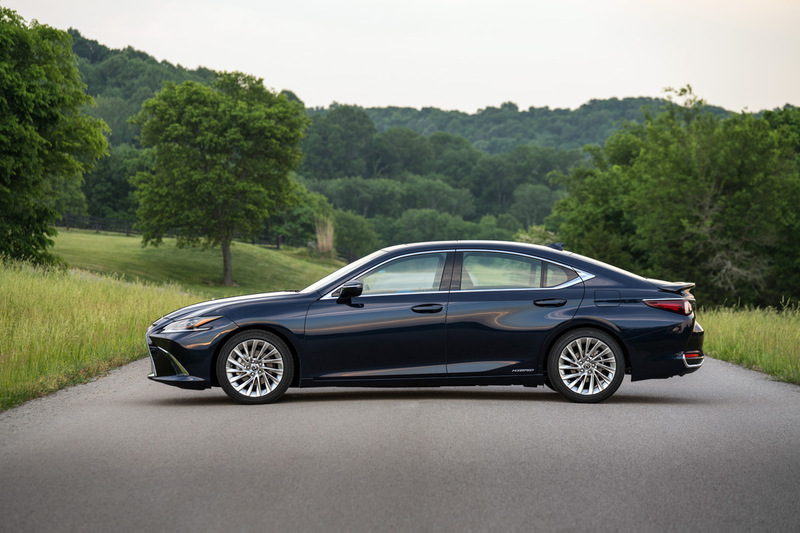 But as you can see, that’s no longer the case with the all-new 2019 Lexus ES, which ditches its vanilla styling for a decidedly sexier, sportier look to attract younger buyers (like myself) who otherwise wouldn’t give the ES a second thought. And there’s even an F Sport model – a first for the ES, for those enthusiasts who want to dial things up a notch. 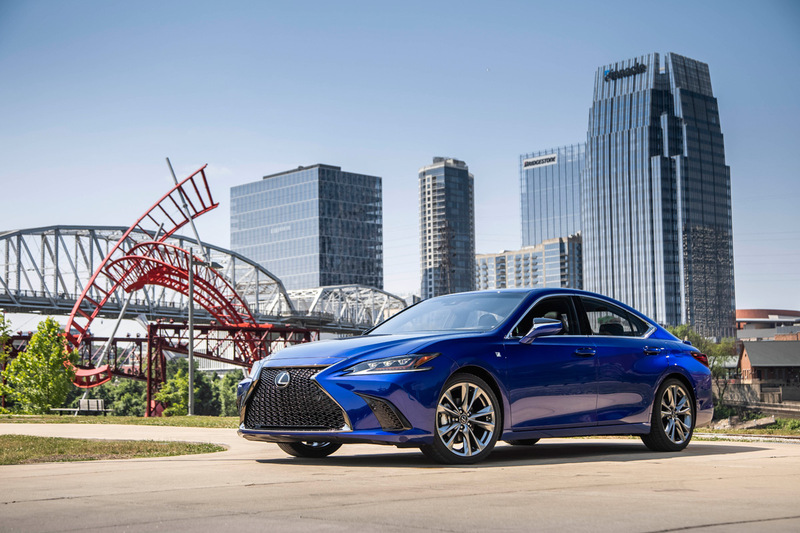 Lexus recently brought us down to Nashville to drive all three of their offerings (Lexus ES 350, ES300h hybrid, and ES 350 F Sport), along with an 2018 Lexus ES 350 to compare it against, and we couldn’t wait to see if the car’s performance lived up to its looks. Project Chief Designer Yasuo Kajino describes the look of the new ES as provocative elegance, and that’s a good way to describe it. The car still exudes that elegant luxury feel that the ES has always been known for, while adding some daring design elements that help it stand apart from the likes of the BMW 3-Series, Audi A4, and Mercedes-Benz C-Class. 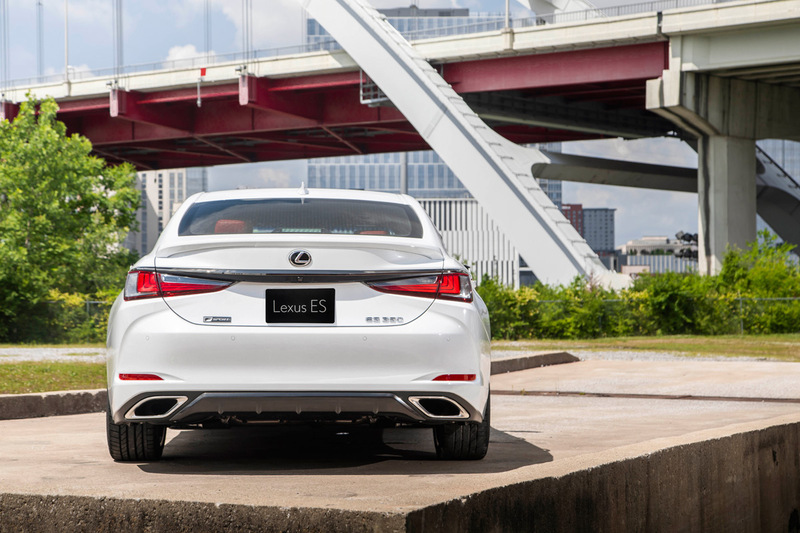 Built on the all-new Global Architecture – K (GA-K) platform, the new ES is 2.6 inches longer, 1.8 inches wider, and 0.2 inches lower than the outgoing model, with the wheels pushed closer to the corners thanks to a two-inch longer wheelbase and wider tracks front and rear. A low front hood, fast roofline and sharply chiseled rear end complete the look. Looks wise, I think Lexus was smart to do away with the “safe” styling of the outgoing model and giving the new ES some edginess, both literally and figuratively. I don’t know that my 85-year old aunt (who drives an ’18 ES 350) may feel the same way, but Lexus as a brand is trying to reach a broader audience, especially with the F Sport model. Both the ES 350 and ES 350 F Sport are powered by a 3.5-liter V6 that puts out 302 horsepower and 267 pound-feet of torque, a healthy increase in power (+34 hp, +19 lb-ft) compared to the previous generation V6. 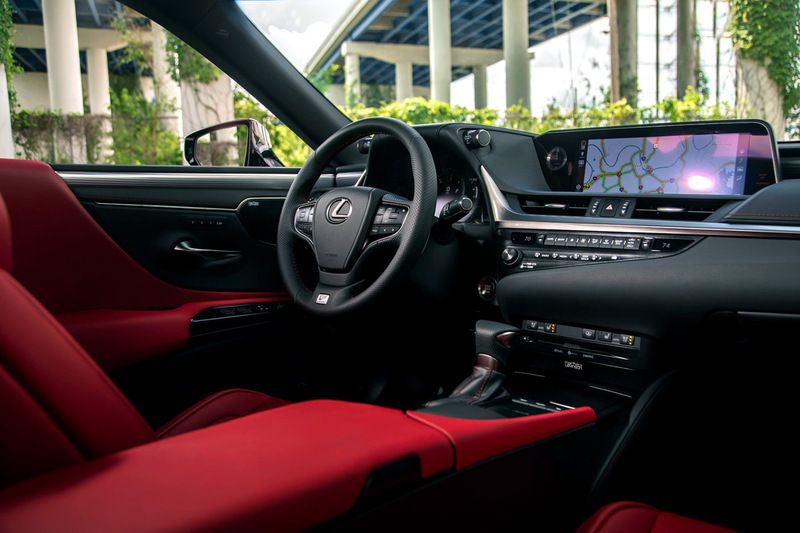 In addition to the boost in power, the ES 350 also benefits from a new 8-speed Direct Shift automatic transmission, which has been tuned to deliver crisp, precisely timed shifts with quick responses. The 2019 ES 350 serves up a 0-60 time of 6.6 seconds, which is half a second quicker than the outgoing model. Sure, it’s not going to win any drag races out there, but it feels suitable quick on the road, and we were never left wanting for more power. Paddle shifters let you shift on the fly, should you feel the need to get your Speed Racer on. The ES300h hybrid model puts out a modest 215 horsepower, with a leisurely 0-60 time of 8.1 seconds. While it’s not that quick off the line, it feels fine around town, and it’s a respectable option for those willing to give up a bit of performance in return for better gas mileage (with an impressive 44 mpg combined). Perhaps the biggest surprise about the 2019 ES though is just how well it handles, even in base trim. Winding through the twisties of Natchez Trace Parkway, it was remarkable how poised the ES felt, turning in sharply and eagerly, with no body roll or squealing tires. We then took a 2018 ES through the same route, and it was a more dramatic affair, with tons of understeer and the tires howling for mercy. The difference is night and day! The ES has always been about quiet comfort, and the 2019 model doesn’t deviate far from that tradition. Despite the improved handling, the ES still offers a very compliant ride, soaking up bumps and other road imperfections with ease. And should the need arise, you can switch the Drive Mode Select dial to “Sport” for a bit more feedback from the road. But for those drivers who want a more engaging ride, the F Sport model is just the ticket, with an available Adaptive Variable Suspension that really changes the driving dynamic of the car. Sport+ mode also gives the ES a bit more of an exhaust note without going overboard. Even in this mode, the car is still civilized, as this is a Lexus after all. Regardless of which model you choose, the interior of the ES is a nice place to call home, with luxurious materials (leather, wood, aluminum) throughout. 10-way power front seats are heated and ventilated, and the steering wheel is borrowed directly from the LS, featuring an ergonomic shaped rim and optional wood trim and heating elements. The interior features three color schemes, four types of trim and three different material options for the seats. Lexus knows that staying connected is important to their tech-savvy (ie. younger) buyers, so they made sure that the ES comes equipped with everything they could possibly want. The ES is the first Lexus model to offer Apple CarPlay (seriously, it’s about time), along with in-car Amazon Alexa integration (“Alexa, how much gas do I have left?”), on-board Wi-Fi powered by Verizon, and wireless charging. If that’s not enough, there’s an optional 1,800-watt, 17-speaker Mark Levinson audio system that is pretty incredible. We’ve long been fans of Mark Levinson systems, and this one is no exception. Audiophiles, prepare to be amazed! And last but not least, lets talk about safety. All Lexus ES models come with the Lexus Safety System+ 2.0 standard, which includes unparalleled safety features like Pre-Collision System, Lane Departure Assist, Lane Tracing Assist, Dynamic Radar Cruise Control, Road Sign Assist, Blind Spot Monitoring, and more. 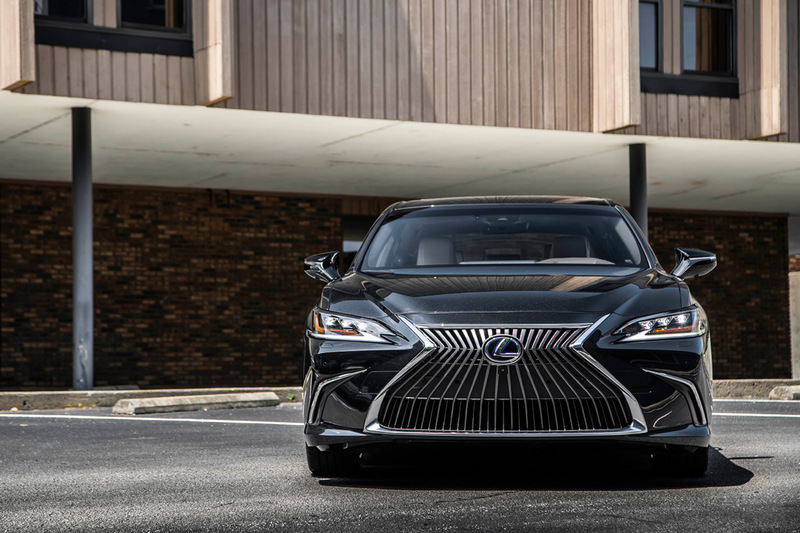 The all-new 2019 Lexus ES represents a dramatic shift from the previous ES’s, shattering their “old person’s car” image with its edgier styling and improved performance. The challenge they face (much like Buick) is trying to shake that preconceived notion, which is an uphill battle. But those who do give the ES a chance will be pleasantly surprised, as it’s a real game changer. My only complaint lies with the Lexus Remote Touch Interface, which uses trackpad to control the infotainment system, since the screen is set so far back in the dash. It is REALLY hard to use while driving without taking your eyes off of the road, and I really wish Lexus would just bring back the touchscreen already. 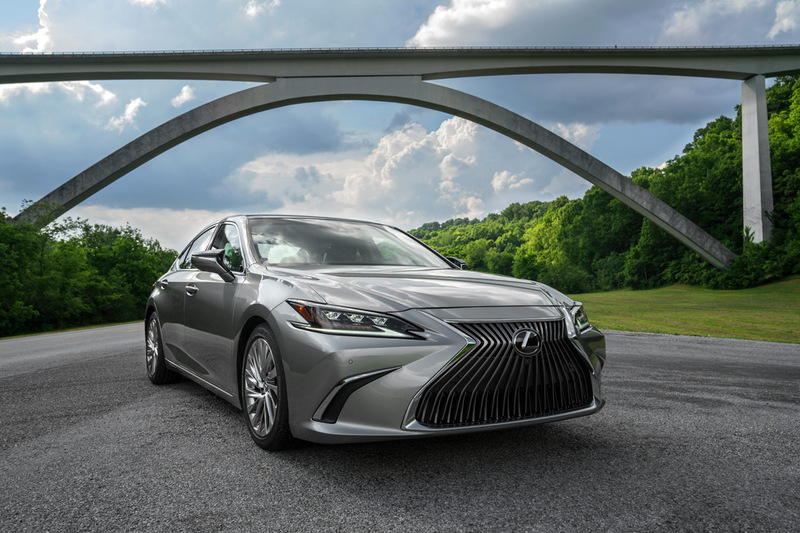 The 2019 Lexus ES rolls into dealerships this September, with pricing expected to similar to the outgoing model, with a starting price just shy of $40,000. Visit www.lexus.com for more information.